Do you know how many kilowatt hours of energy you’re getting? The reassurance that consistency brings time and time again. What makes a high quality wood pellet delivery? What’s in a Land Energy wood pellet? Struggling with your pellet boiler running costs? Can the quality of your pellets affect the amount of unplanned maintenance you must do on your boiler? 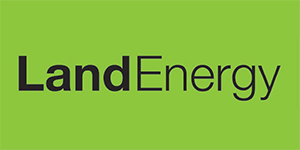 Land Energy’s wood pellets, the ENPlus standard and our monthly pellet quality report. Why do we publish our monthly wood pellet quality reports? Transparency and tangibility just two of the reason we publish our monthly laboratory quality reports. On our quality journey, here’s our December stop. Do you know how many kilowatt hours of energy you’re getting from your wood pellets? Do you know your wood fuel quality standards from your wood fuel sustainability scheme? Time to check my wood pellet store? Do you know how much energy and ash content there is in your wood pellets? Calorific value of pellets – it doesn’t make a lot of difference does it? Winter; it’s arrived…. sort of.